Plant’s resistance to different stress factors is regulated by a complex signalling network which connects the individual signalling pathways, enabling them to fine tune their defence response. For more than last two decades, glutathione (GSH) is gradually gaining importance as a crucial player in this network. The present review summarizes the central role of GSH in modulating plant’s defence response to biotic stress, specially emphasizing the molecular mechanism of these regulations. Initial studies demonstrated that exogenously applied GSH can activate several stress-related genes. Several transgenic approaches to constitutively enhance GSH levels have been followed and in most cases, these transgenic plants exhibited enhanced biotic stress tolerance. The post 2000 era envisaged a mechanistic approach in this field and GSH has been shown to modulate the defence signalling network by cross-communication with several stress-related phytohormones. GSH imparts stress tolerance against biotrophic infection via NPR1-dependent salicylic acid (SA) mediated pathway. In a subsequent report, GSH has been shown to regulate SA accumulation at the level of isochorismate synthetase 1 (ICS1) expression and that GSH can also act in NPR1-independent pathway. A synergistic GSH-ethylene (ET) interplay during necrotrophic infection has also been reported. It has been demonstrated that GSH induces ET biosynthesis by modulating transcriptional and post-transcriptional regulations of its key enzymes. The molecular details of the GSH-SA and GSH-ET cross-communications during stress has already been explored. The cross-talk of GSH with JA and abscisic acid (ABA) in alleviating stress has also been reported. However, its mechanism remains to be explored in future. Adie B A T, Pérez-Pérez J, Pérez-Pérez M M, Godoy M, Sánchez-Serrano J-J, Schmelz E A and Solano R (2007) ABA is an essential signal for plant resistance to pathogens affecting JA biosynthesis and the activation of defenses in Arabidopsis Plant Cell 19 1665–1681. Akter N, Sobahan M A, Hossain M A, Uraji M, Nakamura Y, Mori I C and Murata Y (2010) The involvement of intracellular glutathione in methyl jasmonate signaling in Arabidopsis guard cells Biosci Biotechnol Biochem 74 2504–2506. Anderson J P, Badruzsaufari E, Schenk P M, Manners J M, Desmond O J, Ehlert C, Maclean D J, Ebert P R and Kazan K (2004) Antagonistic interaction between abscisic acid and jasmonate-ethylene signaling pathways modulates defense gene expression and disease resistance in Arabidopsis Plant Cell 16 3460–3479. Ball L, Accotto G-P, Bechtold U, Creissen G, Funck D, Jimenez A, Kular B, Leyland N, Mejia-Carranza J, Reynolds H, Karpinski S and Mullineaux P M (2004) Evidence for a direct link between glutathione biosynthesis and stress defense gene expression in Arabidopsis Plant Cell 16 2448–2462. Belmonte M F, Donald G, Reid D M, Yeung E C and Stasolla C (2005) Alterations of the glutathione redox state improve apical meristem structure and somatic embryo quality in white spruce (Picea glauca) J Exp Bot 56 2355–2364. Blanco F, Salinas P, Cecchini N M, Jordana X, Van Hummelen P, Alvarez M E and Holuigue L (2009) Early genomic responses to salicylic acid in Arabidopsis Plant Mol Biol 70 79–102. Bolter C, Brammall R A, Cohen R and Lazarovits G (1993) Glutathione alterations in melon and tomato roots following treatment with chemicals which induce disease resistance to Fusarium wilt Physiol Mol Plant Pathol 42 321–336. Borsani O, Valpuesta V and Botella M A (2001) Evidence for a role of salicylic acid in the oxidative damage generated by NaCl and osmotic stress in Arabidopsis seedlings Plant Physiol 126 1024–1030. Bostock R M (2005) Signal crosstalk and induced resistance: straddling the line between cost and benefit Annu Rev Phytopathol 43 545–580. Böttcher C, Westphal L, Schmotz C, Prade E, Scheel D and Glawischnig E (2009) The multifunctional enzyme CYP71B15 (PHYTOALEXIN DEFICIENT3) converts cysteine-indole-3-acetonitrile to camalexin in the indole-3-acetonitrile metabolic network of Arabidopsis thaliana Plant Cell 21 1830–1845. Bradley D J, Kjellbom P and Lamb C J (1992) Elicitor- and wound-induced oxidative cross-linking of a proline-rich plant cell wall protein: a novel, rapid defense response Cell 70 21–30. Cao S, Chen Z, Liu G, Jiang L, Yuan H, Ren G, Bian X, Jian H and Ma X (2009) The Arabidopsis Ethylene-Insensitive 2 gene is required for lead resistance Plant physiol biochem 47 308–312. Chamnongpol S, Willekens H, Moeder W, Langebartels C, Sandermann H, Van Montagu M, Inzé D and Van Camp W (1998) Defense activation and enhanced pathogen tolerance induced by H2O2 in transgenic tobacco Proc Nat Acad Sci USA 95 5818–5823. Chen W and Singh K B (1999) The auxin, hydrogen peroxide and salicylic acid induced expression of the Arabidopsis GST6 promoter is mediated in part by an ocs element Plant J 19 667–677. Cheng M-C, Ko K, Chang W-L, Kuo W-C, Chen G-H and Lin T-P (2015) Increased glutathione contributes to stress tolerance and global translational changes in Arabidopsis Plant J 83 926–939. Creissen G, Firmin J, Fryer M, Kular B, Leyland N, Reynolds H, Pastori G, Wellburn F, Baker N, Wellburn A and Mullineaux P (1999) Elevated glutathione biosynthetic capacity in the chloroplasts of transgenic tobacco plants paradoxically causes increased oxidative stress Plant Cell 11 1277–1292. Dahl C C von and Baldwin I T (2007) Deciphering the role of ethylene in plant–herbivore interactions J Plant Growth Regul 26 201–209. Dat J F, Lopez-Delgado H, Foyer C H and Scott I M (2000) Effects of salicylic acid on oxidative stress and thermotolerance in tobacco J Plant Physiol 156 659–665. Datta R and Chattopadhyay S (2015) Changes in the proteome of pad2-1, a glutathione depleted Arabidopsis mutant, during Pseudomonas syringae infection J Prot 126 82–93. Datta R, Kumar D, Sultana A, Hazra S, Bhattacharyya D and Chattopadhyay S (2015) Glutathione regulates 1-aminocyclopropane-1-carboxylate synthase transcription via WRKY33 and 1-aminocyclopropane-1-carboxylate oxidase by modulating messenger RNA stability to induce ethylene synthesis during stress Plant Physiol 169 2963–2981. Dempsey R W, Merchant A and Tausz M (2012) Differences in ascorbate and glutathione levels as indicators of resistance and susceptibility in Eucalyptus trees infected with Phytophthora cinnamomi Tree Physiol 32 1148–1160. Després C, Chubak C, Rochon A, Clark R, Bethune T, Desveaux D and Fobert P R (2003) The Arabidopsis NPR1 disease resistance protein is a novel cofactor that confers redox regulation of DNA binding activity to the basic domain/leucine zipper transcription factor TGA1 Plant Cell 15 2181–2191. Dong X (1998) SA, JA, ethylene, and disease resistance in plants Curr Opin Plant Biol 1 316–323. Dron M, Clouse S D, Dixon R A, Lawton M A and Lamb C J (1988) Glutathione and fungal elicitor regulation of a plant defense gene promoter in electroporated protoplasts Proc Nat Acad Sci USA 85 6738–6742. Dubreuil-Maurizi C and Poinssot B (2012) Role of glutathione in plant signaling under biotic stress Plant Signal Behav 7 210–212. Edwards R, Blount J W and Dixon R A (1991) Glutathione and elicitation of the phytoalexin response in legume cell cultures Planta 184 403–409. El-Zahaby H M (1995) Effects of powdery mildew infection of barley on the ascorbate-glutathione cycle and other antioxidants in different host-pathogen interactions Phytopathol 85 1225. Farmer E E and Ryan C A (1992) Octadecanoid precursors of jasmonic acid activate the synthesis of wound-inducible proteinase inhibitors Plant Cell 4 129–134. Flors V, Ton J, van Doorn R, Jakab G, García-Agustín P and Mauch-Mani B (2008) Interplay between JA, SA and ABA signalling during basal and induced resistance against Pseudomonas syringae and Alternaria brassicicola Plant J 54 81–92. Fodor J, Gullner G, Adam A L, Barna B, Komives T and Kiraly Z (1997) Local and systemic responses of antioxidants to tobacco mosaic virus infection and to salicylic acid in tobacco (role in systemic acquired resistance) Plant Physiol 114 1443–1451. Freeman J L, Garcia D, Kim D, Hopf A and Salt D E (2005) Constitutively elevated salicylic acid signals glutathione-mediated nickel tolerance in Thlaspi nickel hyperaccumulators Plant Physiol 137 1082–1091. Galant A, Preuss M L, Cameron J C and Jez J M (2011) Plant glutathione biosynthesis: diversity in biochemical regulation and reaction products Front Plant Sci 2 45. Geu-Flores F, Møldrup M E, Böttcher C, Olsen C E, Scheel D and Halkier B A (2011) Cytosolic γ-glutamyl peptidases process glutathione conjugates in the biosynthesis of glucosinolates and camalexin in Arabidopsis Plant Cell 23 2456–2469. Ghanta S, Bhattacharyya D and Chattopadhyay S (2011) Glutathione signaling acts through NPR1-dependent SA-mediated pathway to mitigate biotic stress Plant Signal Behav 6 607–609. Ghanta S, Bhattacharyya D, Sinha R, Banerjee A and Chattopadhyay S (2011) Nicotiana tabacum overexpressing γ-ECS exhibits biotic stress tolerance likely through NPR1-dependent salicylic acid-mediated pathway Planta 233 895–910. Ghanta S and Chattopadhyay S (2011) Glutathione as a signaling molecule: another challenge to pathogens Plant Signal Behav 6 783–788. Ghanta S, Datta R, Bhattacharyya D, Sinha R, Kumar D, Hazra S, Mazumdar A B and Chattopadhyay S (2014) Multistep involvement of glutathione with salicylic acid and ethylene to combat environmental stress J Plant Physiol 171 940–950. Glazebrook J (2005) Contrasting mechanisms of defense against biotrophic and necrotrophic pathogens Annu Rev Phytopathol 43 205–227. Glazebrook J and Ausubel F M (1994) Isolation of phytoalexin-deficient mutants of Arabidopsis thaliana and characterization of their interactions with bacterial pathogens Proc Nat Acad Sci USA 91 8955–8959. Glazebrook J, Zook M, Mert F, Kagan I, Rogers E E, Crute I R, Holub E B, Hammerschmidt R and Ausubel F M (1997) Phytoalexin-deficient mutants of Arabidopsis reveal that PAD4 encodes a regulatory factor and that four PAD genes contribute to downy mildew resistance Genetics 146 381–392. Gomez L D, Noctor G, Knight M R and Foyer C H (2004) Regulation of calcium signalling and gene expression by glutathione J Exp Bot 55 1851–1859. Gönner M v. and Schlösser E (1993) Oxidative stress in interactions between Avena sativa L. and Drechslera spp Physiol Mol Plant Pathol 42 221–234. Grant M and Lamb C (2006) Systemic immunity Curr Opin Plant Biol 9 414–420. Grill E, Löffler S, Winnacker E L and Zenk M H (1989) Phytochelatins, the heavy-metal-binding peptides of plants, are synthesized from glutathione by a specific gamma-glutamylcysteine dipeptidyl transpeptidase (phytochelatin synthase) Proc Nat Acad Sci USA 86 6838–6842. Gullner G, Kömives T and Rennenberg H (2001) Enhanced tolerance of transgenic poplar plants overexpressing gamma-glutamylcysteine synthetase towards chloroacetanilide herbicides J Exp Bot 52 971–979. Gundlach H, Müller M J, Kutchan T M and Zenk M H (1992) Jasmonic acid is a signal transducer in elicitor-induced plant cell cultures Proc Nat Acad Sci USA 89 2389–2393. Han Y, Chaouch S, Mhamdi A, Queval G, Zechmann B and Noctor G (2013) Functional analysis of Arabidopsis mutants points to novel roles for glutathione in coupling H2O2 to activation of salicylic acid accumulation and signaling Antioxid Redox Signal 18 2106–2121. Han Y, Mhamdi A, Chaouch S and Noctor G (2013) Regulation of basal and oxidative stress-triggered jasmonic acid-related gene expression by glutathione Plant Cell Environ 36 1135–1146. Herrera-Vásquez A, Salinas P and Holuigue L (2015) Salicylic acid and reactive oxygen species interplay in the transcriptional control of defense genes expression Front Plant Sci 6 171. Hiruma K, Fukunaga S, Bednarek P, Pislewska-Bednarek M, Watanabe S, Narusaka Y, Shirasu K and Takano Y (2013) Glutathione and tryptophan metabolism are required for Arabidopsis immunity during the hypersensitive response to hemibiotrophs Proc Nat Acad Sci USA 110 9589–9594. Howe GA and Jander G (2008) Plant immunity to insect herbivores Annu Rev Plant Biol 59 41–66. Itzhaki H and Woodson W R (1993) Characterization of an ethylene-responsive glutathione S-transferase gene cluster in carnation Plant Mol Biol 22 43–58. Jabs T, Dietrich R A and Dangl J L (1996) Initiation of runaway cell death in an Arabidopsis mutant by extracellular superoxide Science 273 1853–1856. Kellos T, Tímár I, Szilágyi V, Szalai G, Galiba G and Kocsy G (2008) Stress hormones and abiotic stresses have different effects on antioxidants in maize lines with different sensitivity Plant Biol (Stuttgart, Germany) 10 563–572. Klessig D F, Durner J, Noad R, Navarre D A, Wendehenne D, Kumar D, Zhou J M, Shah J, Zhang S, Kachroo P, Trifa Y, Pontier D, Lam E and Silva H (2000) Nitric oxide and salicylic acid signaling in plant defense Proc Nat Acad Sci USA 97 8849–8855. Koornneef A, Leon-Reyes A, Ritsema T, Verhage A, Den Otter F C, Van Loon L C and Pieterse C M J (2008) Kinetics of salicylate-mediated suppression of jasmonate signaling reveal a role for redox modulation Plant Physiol 147 1358–1368. Koornneef A and Pieterse C M J (2008) Cross talk in defense signaling Plant Physiol 146 839–844. Kumar D, Datta R, Sinha R, Ghosh A and Chattopadhyay S (2014) Proteomic profiling of γ-ECS overexpressed transgenic Nicotiana in response to drought stress Plant Signal Behav 9 e29246. Kunkel B N and Brooks D M (2002) Cross talk between signaling pathways in pathogen defense Curr Opin Plant Biol 5 325–331. Kuźniak E, Głowacki R, Chwatko G, Kopczewski T, Wielanek M, Gajewska E and Skłodowska M (2014) Involvement of ascorbate, glutathione, protein S-thiolation and salicylic acid in benzothiadiazole-inducible defence response of cucumber against Pseudomonas syringae pv lachrymans Physiol Mol Plant Pathol 86 89–97. Kuźniak E, Kaźmierczak A, Wielanek M, Głowacki R and Kornas A (2013) Involvement of salicylic acid, glutathione and protein S-thiolation in plant cell death-mediated defence response of Mesembryanthemum crystallinum against Botrytis cinerea Plant physiol biochem 63 30–38. Lawton K A, Potter S L, Uknes S and Ryals J (1994) Acquired resistance signal transduction in Arabidopsis is ethylene independent Plant Cell 6 581–588. Levine A, Tenhaken R, Dixon R and Lamb C (1994) H2O2 from the oxidative burst orchestrates the plant hypersensitive disease resistance response Cell 79 583–593. Loake G and Grant M (2007) Salicylic acid in plant defence--the players and protagonists Curr Opin Plant Biol 10 466–472. van Loon L C, Rep M and Pieterse C M J (2006) Significance of inducible defense-related proteins in infected plants Annu Rev Phytopathol 44 135–162. Mateo A, Funck D, Mühlenbock P, Kular B, Mullineaux P M and Karpinski S (2006) Controlled levels of salicylic acid are required for optimal photosynthesis and redox homeostasis J Exp Bot 57 1795–1807. Mauch F and Dudler R (1993) Differential induction of distinct glutathione-S-transferases of wheat by xenobiotics and by pathogen attack Plant Physiol102 1193–1201. Maughan S C, Pasternak M, Cairns N, Kiddle G, Brach T, Jarvis R, Haas F, Nieuwland J, Lim B, Müller C, Salcedo-Sora E, Kruse C, Orsel M, Hell R, Miller A J, Bray P, Foyer C H, Murray J A H, Meyer A J and Cobbett C S (2010) Plant homologs of the Plasmodium falciparum chloroquine-resistance transporter, PfCRT, are required for glutathione homeostasis and stress responses Proc Nat Acad Sci USA 107 2331–2336. May M J, Hammond-Kosack K E and Jones J D G (1996) Involvement of reactive oxygen species, glutathione metabolism, and lipid peroxidation in the Cf-gene-dependent defense response of tomato cotyledons induced by race-specific elicitors of Cladosporium fulvum Plant Physiol 110 1367–1379. May M J, Vernoux T, Leaver C, Montagu M V and Inzé D (1998) Glutathione homeostasis in plants: implications for environmental sensing and plant development J Exp Bot 49 649–667. Mhamdi A, Hager J, Chaouch S, Queval G, Han Y, Taconnat L, Saindrenan P, Gouia H, Issakidis-Bourguet E, Renou J-P and Noctor G (2010) Arabidopsis GLUTATHIONE REDUCTASE1 plays a crucial role in leaf responses to intracellular hydrogen peroxide and in ensuring appropriate gene expression through both salicylic acid and jasmonic acid signaling pathways Plant Physiol 153 1144–1160. Mhamdi A, Han Y and Noctor G (2013) Glutathione-dependent phytohormone responses: teasing apart signaling and antioxidant functions Plant Signal Behav 8 e24181. Mohr P G and Cahill D M (2007) Suppression by ABA of salicylic acid and lignin accumulation and the expression of multiple genes, in Arabidopsis infected with Pseudomonas syringae pv. tomato Func Integr Genomics 7 181–191. Mou Z, Fan W and Dong X (2003) Inducers of plant systemic acquired resistance regulate NPR1 function through redox changes Cell 113 935–944. Noctor G, Arisi A-C M, Jouanin L and Foyer C H (1998) Manipulation of glutathione and amino acid biosynthesis in the chloroplast Plant Physiol 118 471–482. Noctor G and Foyer C H (1998) ASCORBATE AND GLUTATHIONE: Keeping active oxygen under control Annu Rev Plant Physiol Plant Mol Biol 49 249–279. Ogawa K (2005) Glutathione-associated regulation of plant growth and stress responses Antioxid Redox Signal 7: 973–981. Parisy V, Poinssot B, Owsianowski L, Buchala A, Glazebrook J and Mauch F (2007) Identification of PAD2 as a gamma-glutamylcysteine synthetase highlights the importance of glutathione in disease resistance of Arabidopsis Plant J 49 159–172. Paudel J, Copley T, Amirizian A, Prado A and Bede J C (2013) Arabidopsis redox status in response to caterpillar herbivory Front Plant Sci 4 113. Penninckx I A, Thomma B P, Buchala A, Métraux J P and Broekaert W F (1998) Concomitant activation of jasmonate and ethylene response pathways is required for induction of a plant defensin gene in Arabidopsis Plant Cell 10 2103–2113. Pieterse C M J, Leon-Reyes A, Van der Ent S and Van Wees S C M (2009) Networking by small-molecule hormones in plant immunity Nat Chem Biol 5 308–316. Reymond P and Farmer E E (1998) Jasmonate and salicylate as global signals for defense gene expression Curr Opin Plant Biol 1 404–411. Saisavoey T, Thongchul N, Sangvanich P and Karnchanatat A (2014) Effect of methyl jasmonate on isoflavonoid accumulation and antioxidant enzymes in Pueraria mirifica cell suspension culture J Med Plants Res 8 401–407. Schlaeppi K, Bodenhausen N, Buchala A, Mauch F and Reymond P (2008) The glutathione-deficient mutant pad2-1 accumulates lower amounts of glucosinolates and is more susceptible to the insect herbivore Spodoptera littoralis Plant J 55 774–786. Shan C and Liang Z (2010) Jasmonic acid regulates ascorbate and glutathione metabolism in Agropyron cristatum leaves under water stress Plant Sci 178 130–139. Simon U K, Polanschütz L M, Koffler B E and Zechmann B (2013) High resolution imaging of temporal and spatial changes of subcellular ascorbate, glutathione and H2O2 distribution during Botrytis cinerea infection in Arabidopsis PloS One 8 e65811. Sinha R, Bhattacharyya D, Majumdar A B, Datta R, Hazra S and Chattopadhyay S (2013) Leaf proteome profiling of transgenic mint infected with Alternaria alternata J Prot 93 117–132. Smith I K, Kendall A C, Keys A J, Turner J C and Lea P J (1984) Increased levels of glutathione in a catalase-deficient mutant of barley (Hordeum vulgare L.) Plant Sci Lett 37 29–33. Spoel S H, Koornneef A, Claessens S M C, Korzelius J P, Van Pelt J A, Mueller M J, Buchala A J, Métraux J-P, Brown R, Kazan K, Van Loon L C, Dong X and Pieterse C M J (2003) NPR1 modulates cross-talk between salicylate- and jasmonate-dependent defense pathways through a novel function in the cytosol Plant Cell 15 760–770. Spoel S H and Loake G J (2011) Redox-based protein modifications: the missing link in plant immune signalling Curr Opin Plant Biol 14 358–364. Srivastava M K and Dwivedi U N (1998) Salicylic acid modulates glutathione metabolism in pea seedlings J Plant Physiol153 409–414. Stasolla C (2010) Glutathione redox regulation of in vitro embryogenesis Plant physiol biochem 48 319–327. Stasolla C, Belmonte M F, Tahir M, Elhiti M, Khamiss K, Joosen R, Maliepaard C, Sharpe A, Gjetvaj B and Boutilier K (2008) Buthionine sulfoximine (BSO)-mediated improvement in cultured embryo quality in vitro entails changes in ascorbate metabolism, meristem development and embryo maturation Planta 228 255–272. Stasolla C, Belmonte M F, van Zyl L, Craig D L, Liu W, Yeung E C and Sederoff R R (2004) The effect of reduced glutathione on morphology and gene expression of white spruce (Picea glauca) somatic embryos J Exp Bot 55 695–709. Stroiński A, Chadzinikolau T, Giżewska K and Zielezińska M (2010) ABA or cadmium induced phytochelatin synthesis in potato tubers Biol Plant 54 117–120. Su T, Xu J, Li Y, Lei L, Zhao L, Yang H, Feng J, Liu G and Ren D (2011) Glutathione-indole-3-acetonitrile is required for camalexin biosynthesis in Arabidopsis thaliana Plant Cell 23 364–380. Tada Y, Spoel S H, Pajerowska-Mukhtar K, Mou Z, Song J, Wang C, Zuo J and Dong X (2008) Plant immunity requires conformational changes of NPR1 via S-nitrosylation and thioredoxins Science 321 952–956. Thomma B P, Eggermont K, Penninckx I A, Mauch-Mani B, Vogelsang R, Cammue B P and Broekaert W F (1998) Separate jasmonate-dependent and salicylate-dependent defense-response pathways in Arabidopsis are essential for resistance to distinct microbial pathogens Proc Nat Acad Sci USA 95 15107–15111. Thomma B P, Penninckx I A, Broekaert W F and Cammue B P (2001) The complexity of disease signaling in Arabidopsis Curr Opin Immunol 13 63–68. Turner J G, Ellis C and Devoto A (2002) The jasmonate signal pathway Plant Cell 14 S153–S164. Vanacker H, Lu H, Rate D N and Greenberg J T (2001) A role for salicylic acid and NPR1 in regulating cell growth in Arabidopsi Plant J 28 209–216. Verberne M C, Hoekstra J, Bol J F and Linthorst H J M (2003) Signaling of systemic acquired resistance in tobacco depends on ethylene perception Plant J 35 27–32. Vlot A C, Klessig D F and Park S-W (2008) Systemic acquired resistance: the elusive signal(s) Curr Opin Plant Biol 11 436–442. Vos M D, Zaanen W V, Koornneef A, Korzelius J P, Dicke M, Loon L C V and Pieterse C M J (2006) Herbivore-induced resistance against microbial pathogens in Arabidopsis Plant Physiol 142 352–363. Wang S-D, Zhu F, Yuan S, Yang H, Xu F, Shang J, Xu M-Y, Jia S-D, Zhang Z-W, Wang J-H, Xi D-H and Lin H-H (2011) The roles of ascorbic acid and glutathione in symptom alleviation to SA-deficient plants infected with RNA viruses Planta 234 171–181. van Wees S C M, Chang H-S, Zhu T and Glazebrook J (2003) Characterization of the early response of Arabidopsis to Alternaria brassicicola infection using expression profiling Plant Physiol 132 606–617. Wei L, Wang L, Yang Y, Wang P, Guo T and Kang G (2015) Abscisic acid enhances tolerance of wheat seedlings to drought and regulates transcript levels of genes encoding ascorbate-glutathione biosynthesis Front Plant Sci 6 458. Willekens H, Chamnongpol S, Davey M, Schraudner M, Langebartels C, Van Montagu M, Inzé D and Van Camp W (1997) Catalase is a sink for H2O2 and is indispensable for stress defence in C3 plants EMBO J 16 4806–4816. Wingate V P, Lawton M A and Lamb C J (1988) Glutathione causes a massive and selective induction of plant defense genes Plant Physiol 87 206–210. Wünsche H, Baldwin I T and Wu J (2011) S-Nitrosoglutathione reductase (GSNOR) mediates the biosynthesis of jasmonic acid and ethylene induced by feeding of the insect herbivore Manduca sexta and is important for jasmonate-elicited responses in Nicotiana attenuata J Exp Bot 62 4605–4616. Xiang C, Werner B L, Christensen E M and Oliver D J (2001) The biological functions of glutathione revisited in Arabidopsis transgenic plants with altered glutathione levels Plant Physiol 126 564–574. Yasuda M, Ishikawa A, Jikumaru Y, Seki M, Umezawa T, Asami T, Maruyama-Nakashita A, Kudo T, Shinozaki K, Yoshida S and Nakashita H (2008) Antagonistic interaction between systemic acquired resistance and the abscisic acid-mediated abiotic stress response in Arabidopsis Plant Cell 20 1678–1692. Yoshida S, Tamaoki M, Ioki M, Ogawa D, Sato Y, Aono M, Kubo A, Saji S, Saji H, Satoh S and Nakajima N (2009) Ethylene and salicylic acid control glutathione biosynthesis in ozone-exposed Arabidopsis thaliana Physiol Plant 136 284–298. Zhang Z, Wang J, Chai R, Qiu H, Jiang H, Mao X, Wang Y, Liu F and Sun G (2015) An S-(hydroxymethyl)glutathione dehydrogenase is involved in conidiation and full virulence in the rice blast fungus Magnaporthe oryzae PloS One 10 e0120627. 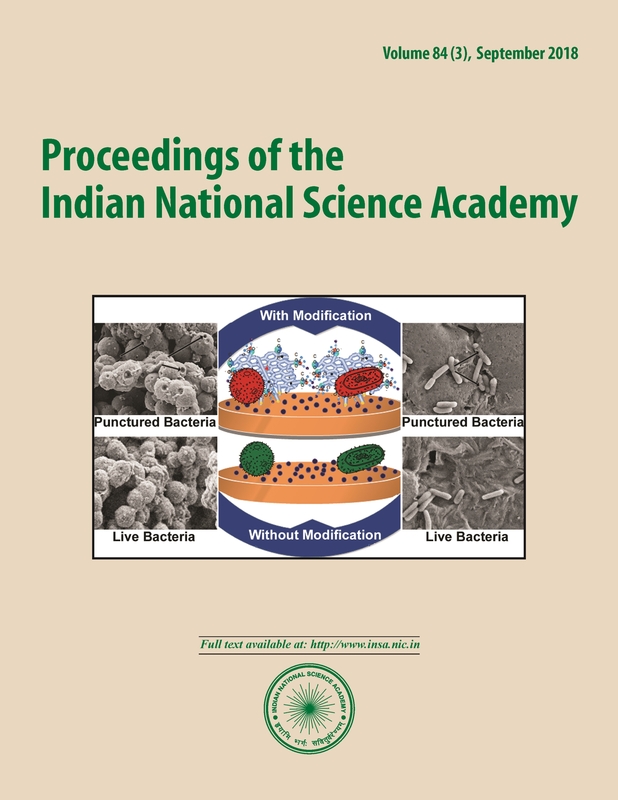 Zhu Y L, Pilon-Smits E A, Tarun A S, Weber S U, Jouanin L and Terry N (1999) Cadmium tolerance and accumulation in Indian mustard is enhanced by overexpressing gamma-glutamylcysteine synthetase Plant Physiol 121 1169–1178.